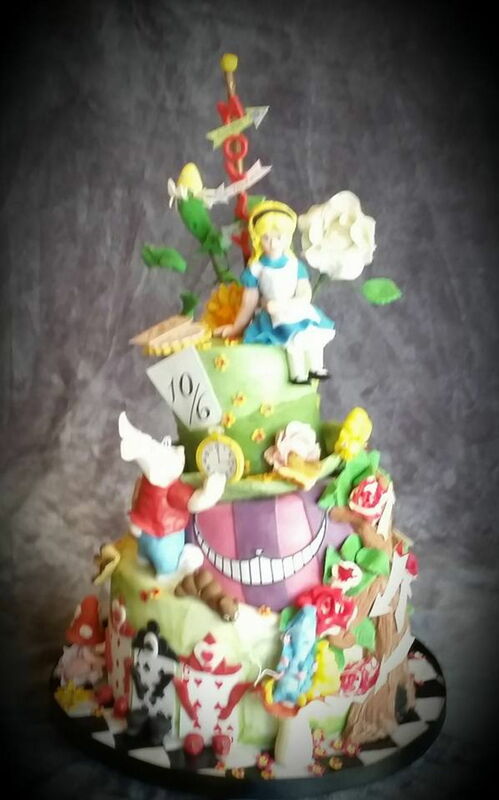 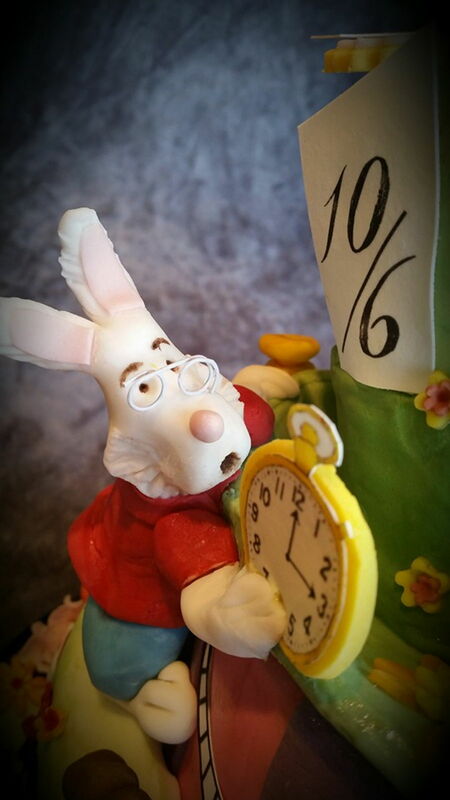 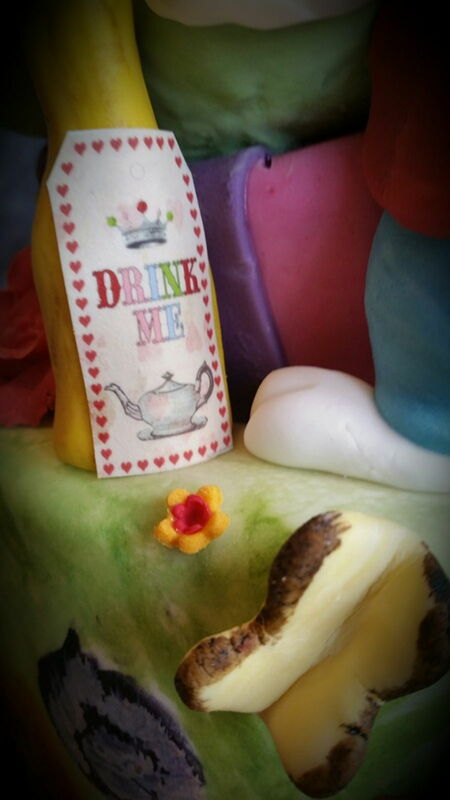 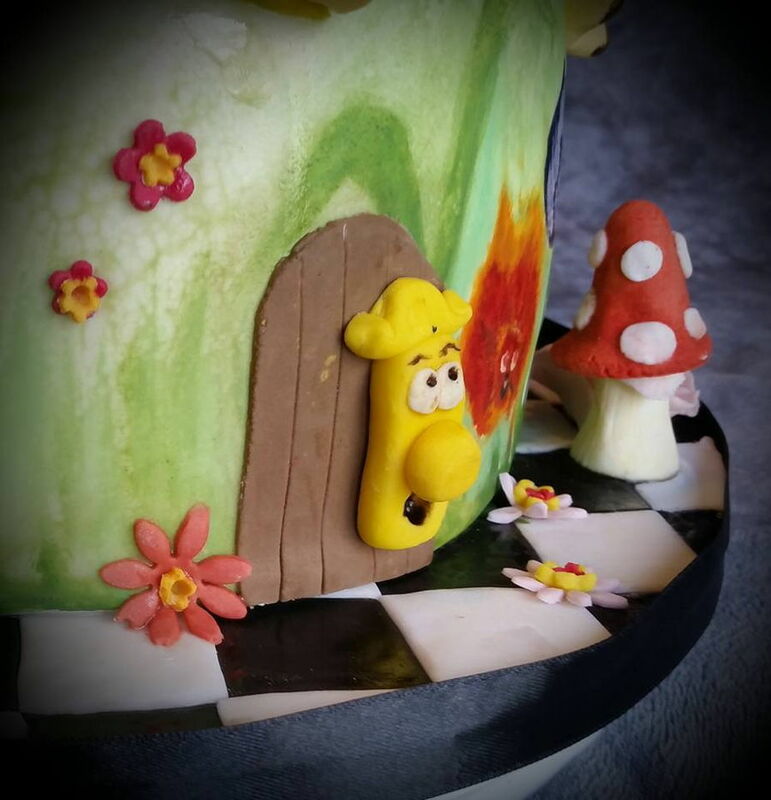 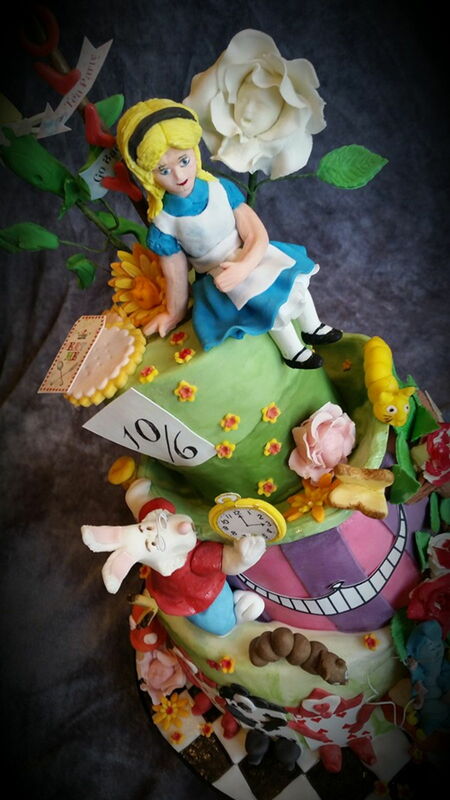 Adored making this Alice In Wonderland inspired cake, for a close friend. 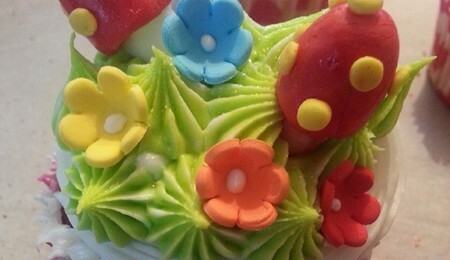 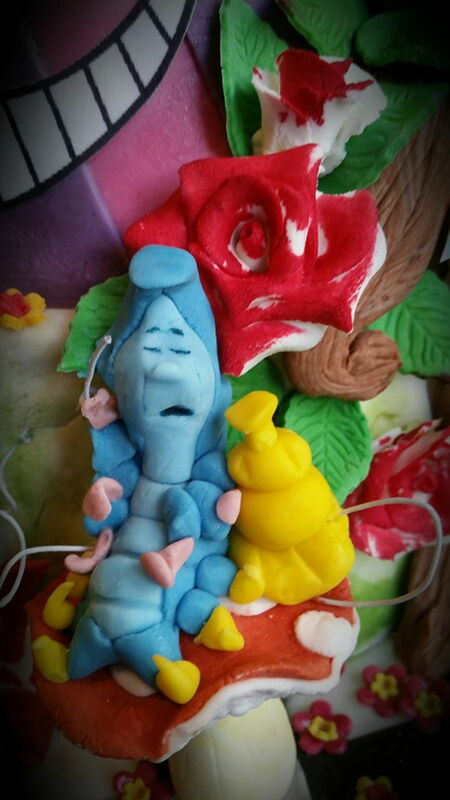 Chocolate sponge covered in guanche and fondant. 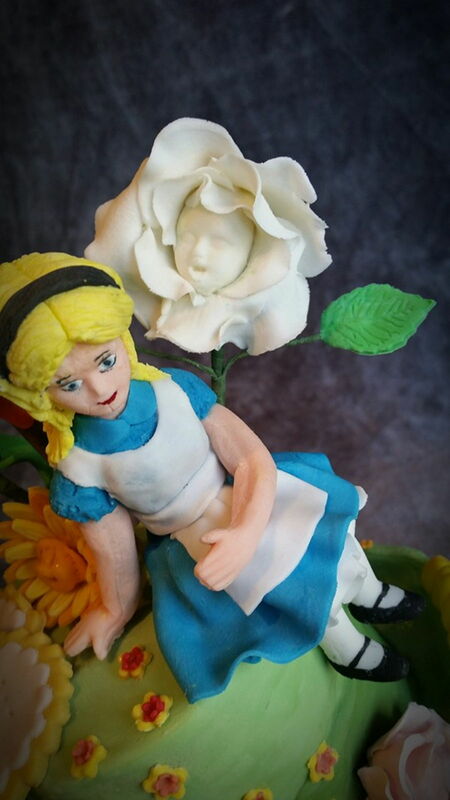 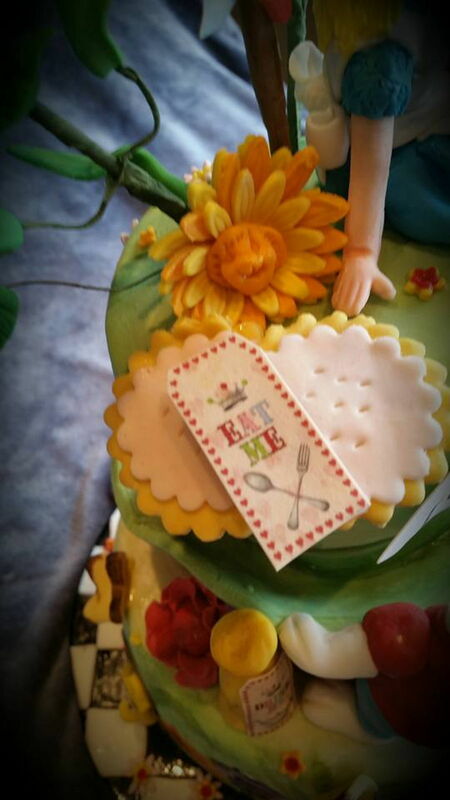 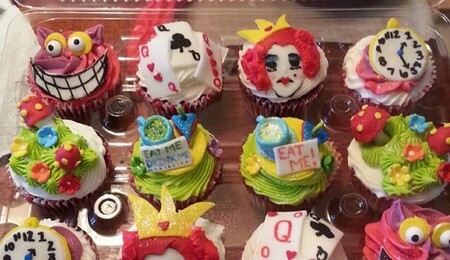 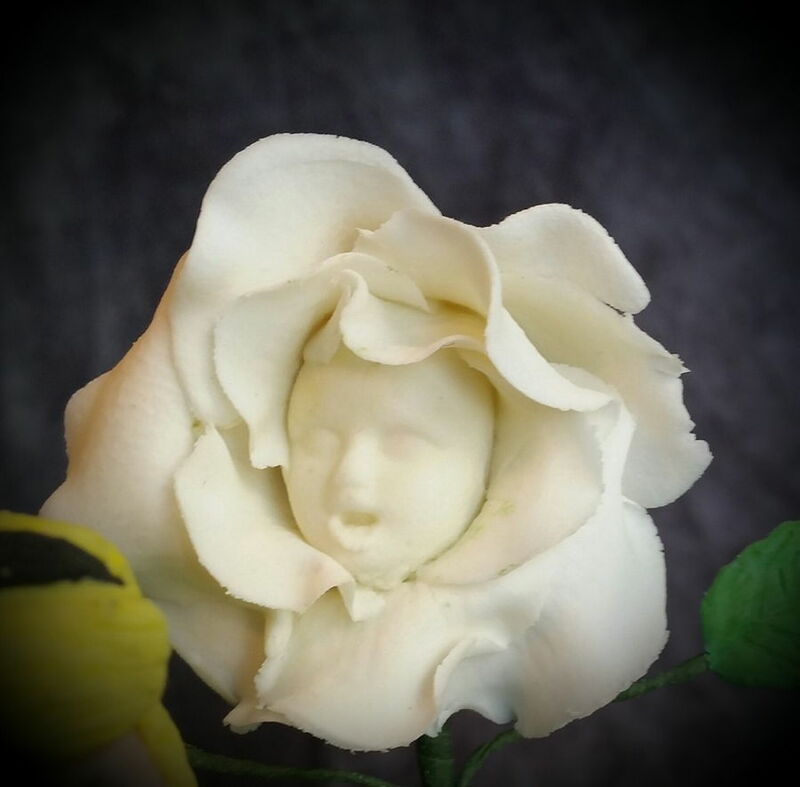 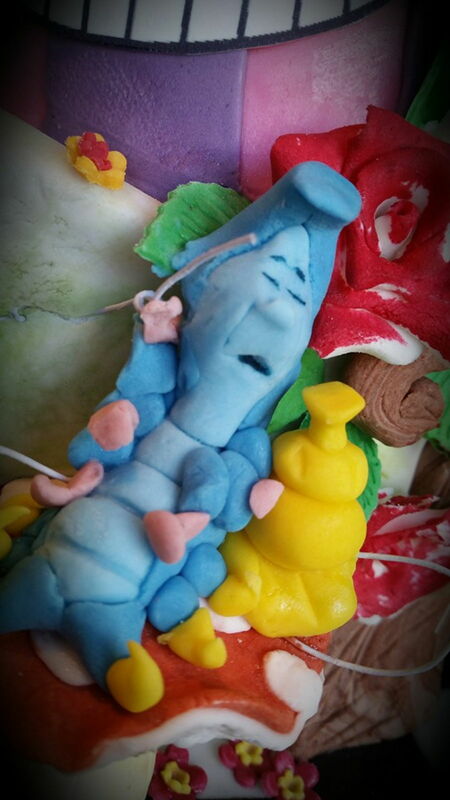 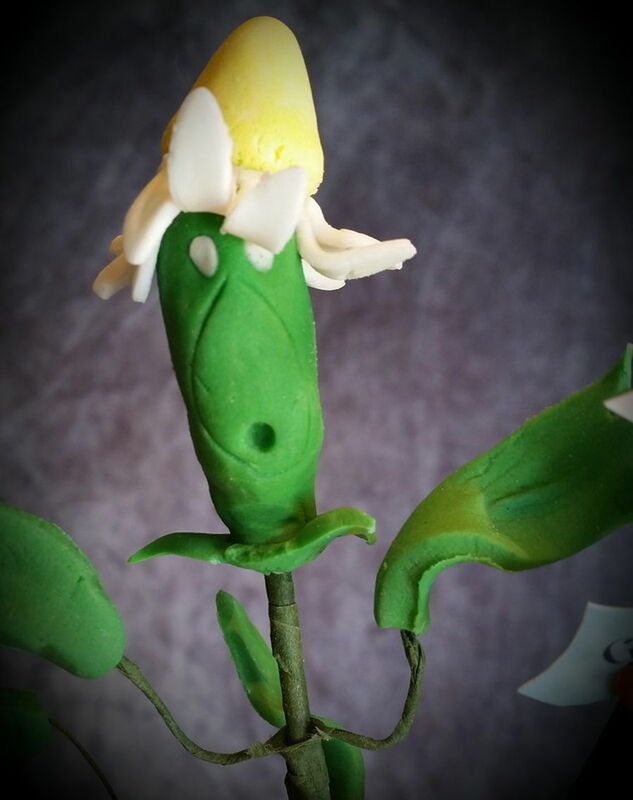 All figures are in fondant too. 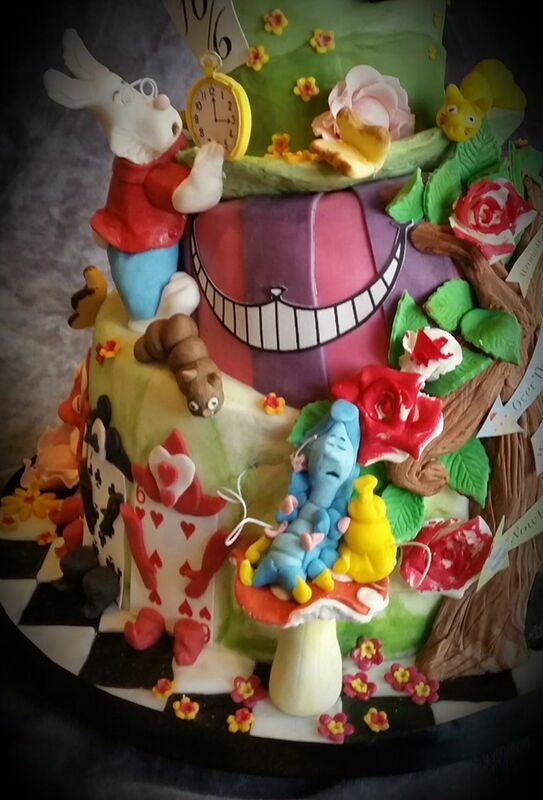 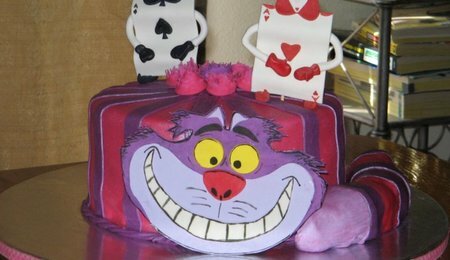 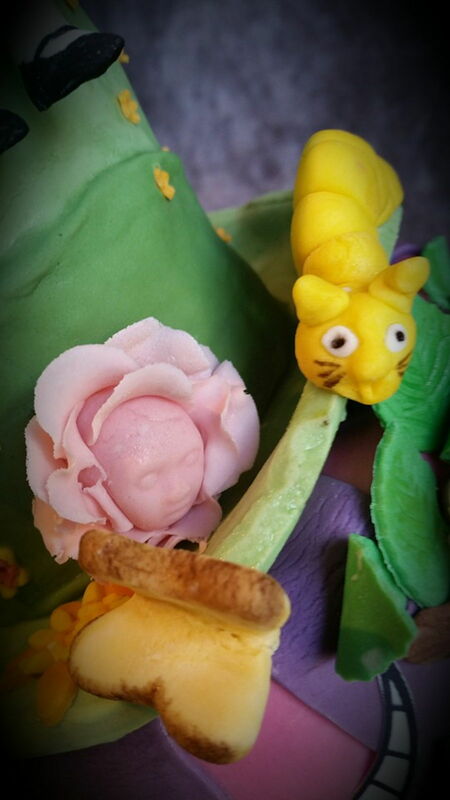 Alice In Wonderland Cheshire Cat Cake.